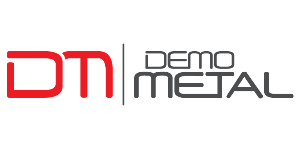 The fifth edition of Demo Metal (held at Brasov, between 25 and 28 May) proved to be the most successful event held in Romania in last years, in the industry. In the previous article, we presented the opinion of the visitors and the representatives of participating companies, in this article we present the final data, which demonstrates once again that Demo Metal is the most important Romanian profile industry event. 27%, specialist visitors: engineers, programmers, technicians, technologists, welders, laborers, quality analysts, etc. With a continuing increase of the number of exhibitors and visitors, as well as with a increasing market impact, Demo Metal remains the central event of the industry, occupying an important place in the agenda of those working in the Romanian industry.… And the 2017 edition will again be surprising!